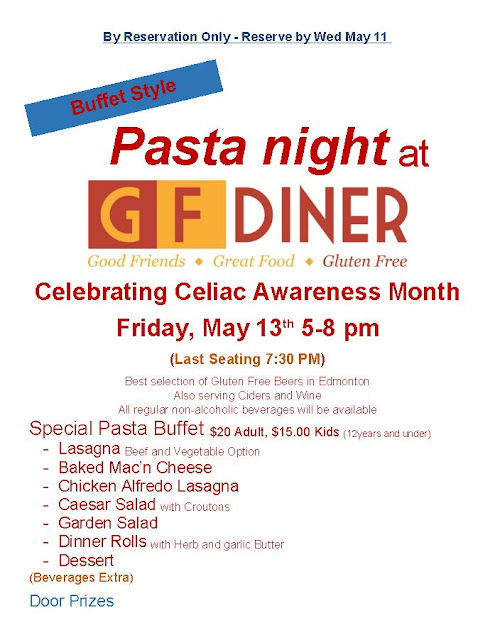 May is Celiac Awareness Month, and who better to support this month than Ted from GF Diner with three great gluten free events in May. 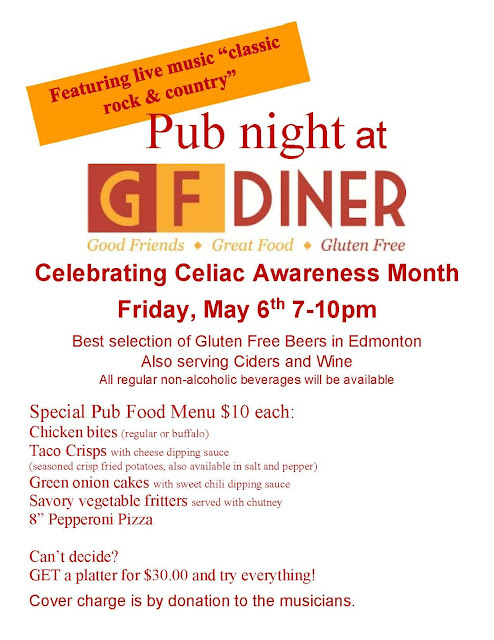 First up, GF Diner will be having a Pub night with live music on May 6 from 7pm to 10pm. 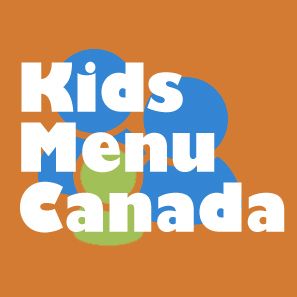 Menu items are 10 bucks each, choose from Chicken bites to green onion cakes, or order a platter! Can you imagine a full gluten free platter of pub grub? I don't think i've ever seen that before anywhere! Next up, the more family friendly, Mothers Day Brunch. 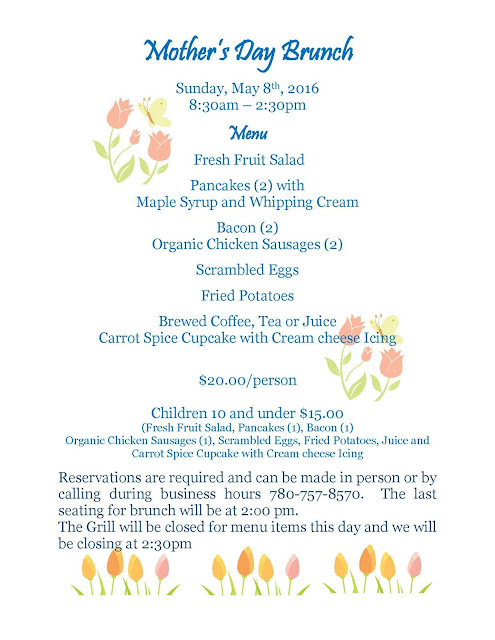 On May 8th, GF Diner's kitchen will dedicate itself to its special Mothers Day brunch menu. Finally, gluten free pasta night, May 13! For 20 bucks, you get a buffet style pasta meal with baked mac and cheese, Lasagna, Cesar salad and much more. 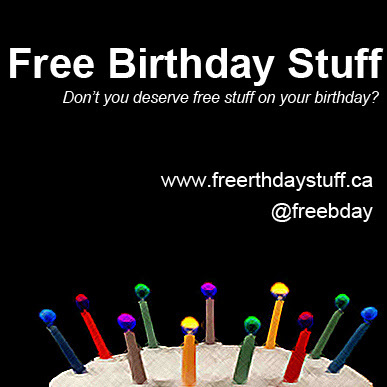 Check out the posters below and visit www.gfdiner.com for more about GF Diner.